lnterested in a south coast wedding ceremony? The possibilities are endless - spectacular scenery, pristine beaches, romantic rustic barns, elegant estates, an abundance of National Parks, lush gardens, heritage houses, verdant vineyards, fabulous function centres, ritzy restaurants - it's up to you. I offer my marriage celebrant services throughout the South Coast & Shoalhaven covering Nowra, Kangaroo Valley, Cambewarra, Callala, Huskisson, Culburra, Currarong, Kiama, Berry, Jervis Bay, Mollymook, Milton , Ulladulla, Gerringong pretty much everywhere from Wollongong to Bowral ,to Bawley to Batemans Bay beyond! Here are just a few suggestions. Definitely one of my favourite locations and not just because I live here! It's an ideal location for a south coast get away wedding. A sleepy little village with lots of gorgeous retro beach houses and has some of the most beautiful beaches in the world.Who could resist the romantically names Mermaid Inlet, Honeysuckle Bay or the heart shaped Honeymoon Bay? 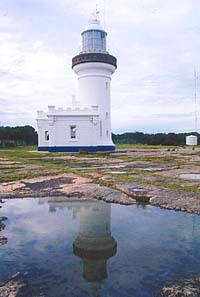 There's also the nearby Point Perpendicular Lighthouse with spectacular views over Jervis Bay. You can even arrive by boat - at my favourite Currarong wedding the bride's father rowed her along the creek to the ceremony. A great new option in Currarong is Zac's . The once humble fish and chip shop has had a major glam makeover and now offers an outdoor courtyard, a deck with views out over the beach and a lovely, airy dining space. Photographer Dean Dampney captured a lot of the magic and unique village atmosphere of Currarong with these photos of John and Jacqui's beach wedding last year. There's also the Currarong Community Hall - which with a bit of imagination can be transformed into something special. The butterfactory offers a great mix of the rustic and chic, a gorgeous garden setting for cocktails and ceremony and views out over the surrounding farms. Food is always brilliant - and staff are wonderful. I'm a bit of a fan of the country hall, they offer great space and atmosphere, are very affordable and can be a blank canvas for your ideas Every little village has one and you'll find a list of all the halls for hire in the Shoalhaven here. Definitely a local landmark, built in 189 and once the local school the hall is fantastic venue for functions with a country atmosphere. Callala Beach Community Hall is a bit of a secret, I really don't know why it's not used more often, as it offers a really affordable venue adjacent to a gorgeous beach spot and can easily be transformed from into something special. Another great little traditional community hall near some fantastic beaches is the Cudmirrah Berrara Community Hall. The area also offers some very cool retro Australian beach shacks which would make for a great weekend away. Kangaroo Valley Upper River Hall. This is another great find. I've performed a few weddings here and they have all been quite magical. It's in a fantastic location - a bit isolated with plenty of room for guests - and children - to run wild, well priced (bit of a bargain really) and sooo pretty. There are a few nice options along the river for the ceremony or the grounds are nice with the suspension bridge across the road making for a slightly rickety but sensational entrance . An exciting new addition, just perfect for lovers of the rural vintage vibe is The Burrows in Berry.I;m always being asked about stylish venues for smaller weddings and this looks perfect. The Burrows tea also offer sensational catering for larger events and have a wealth of experience with some of the most popular and respected wedding venues in the region. Terara is a tiny "blink and you'll miss it" village, missing it would be a shame as it is home to some of the most picturesque wedding venues in the Shoalhaven. Terara Riverside Gardens is situated on the banks of the beautiful Shoalhaven River. Ceremony options include the riverbank with extensive views of Cambewarra Mountain Range, or in one of the many garden areas on the five acre venue. A grove of Maples at the front of the property provides a great entrance. I was driving past the property this week and had to stop and take a picture of the foliage - gorgeous! Merribee is an 1850s architect restored coastal cottage with a selection of truly lovely landscaped ornamental gardens in a very pretty part of the world and a sense of bucolic bliss. You can also book the silo to sleep in! If you're planning a rustic country wedding Driftwood is definitely worth checking out. A 80 year old property on the riverfront with a quirky curio-filled barn for the reception. Book well ahead though as it's a very popular location. Bawley Bush Retreat Bawley is another great venue that combines country and chic. Set on 36 acres of iconic South Coast lakeside forestsurrounded by majestic trees, minutes from the best beaches ever. Throw in birds, a few kangaroos, goannas and wallabies. It's the perfect setting for a destination wedding. If a fairytale wedding is something you have always dreamed of you really can't go past Terrara House. Very easy to imagine Cinderella pulling up that gorgeous drive - but hard to see her managing to tear herself away by 12! Also at the absolute fairytale range of the wedding venue options is Jaspers. I recently performed my first wedding there and it was amazing, it really was like stepping into some dream world - fountains and statues and even a peacock - King Richard! Paperbark Camp This is another truly unique venue offering an inspiring backdrop (for your ceremony, reception, honeymoon or all three) really friendly service and one of the best restaurants on the south coast. This place is truly amazing. Such a perfect venue. It has on site cottages so everyone can make a weekend of it, a natural cathedral with a fantastic atmosphere - some sort of cross between the completely natural and the utterly divine, and a deck with amazing views over the Valley. A really special location. You're spoilt for choice when it comes to a Kangaroo Valley, wedding and you've no idea of how many hidden gems there are down those country lanes but whatever it is you have your heart set on in terms of venue you are bound to fine it. Half the fun is the exploring! Brogers End in Kangaroo Valley is a lovely pastoral setting. The original milking shed has been lovingly restored with clever use of recycled and reclaimed building materials, to create an environmentally friendly retreat and haven and the ceremony can be held in the lovely little garden or the barn. I married Allison and Nathaniel there earlier this year and it was one of the loveliest weddings I've ever seen - you can check their wedding out on on Lane. . The Heavens Mountain Escape a new discovery - and definitely a contender for Miss Majestic Mountain Views. The property has three luxurious cottages all perched on the escaprment and offer plenty of potential for smaller, intimate weddings with gobsmacking views! Hostess Jan is lovely and was witness and ring beare at the elopement I performed there recently. You have absolutely no idea of all the grandeur those dusty country roads in Kangaroo Valley can take you to - so many hidden gems and Minimbah is definitely one of these. A wedding at Minimbah could be a small family affair - 20 guests on the lawn in front of one of the cute country cottages, or a big bash for 200 in the dedicated marquee perched on the mountain side. The marquee offers stunning views as well as the peace of min that comes with having an excellent onsite Plan B if the weather doesn't cooperate. Skyfarm - perched up among the clouds this is a great venue for a small wedding. With luxurious accomodatin and views that take in Morton National Park all the way to Jervis Bay and a variety of beautiful, natural bush land settings for the ceremony. Cambewarra Mountain Lookout This must be the best view in the Shoalhaven - panoramic doesnt quite do it! Perched at the very top of Cambewarra the lookout also has a very cute little tea room which can be used for receptions. Silo's Estate on the outskirts of picturesque Berry has been the setting for so many memorable and beautiful wedding ceremonies for me. I love the setting, looking out over the vineyard and the boutique winery and award winning restaurant combined with the beautiful grounds and b&b accommodation provide an ideal country wedding location. Cupitts Winery recently made buzzfeed's list of 26 amazing places to get married in NSW and it's not hard to see why. It ffers lovely rural rolling hills type views, has a very sophisticated European atmosphere, delicious seasonal food and award winning wine and of course that big wooden door which makes such a fantastic backdrop for the ceremony and photos. One thing I particularly like about Cupitts is the choices you have, it caters for small intimate weddings in the historic Cellar Door, then there's the a contemporary setting for a sit-down reception of up to 150 people. Mountain Ridge Wines has a few different options for ceremonies, all with beautiful rural outlooks. There's also a the big veranda which offers a great Plan B and a fantastic spot for guests to enjoy drinks, canapes and, of course, the view. Cambewarra Estate another pretty little winery tucked away in north Nowra. Coolangatta Estate is another venue that offers a wide range of choices when it comes to setting and style. I particularly like the historic chapel, but there's also the grand old fig tree that is almost cathedral like in it's grandeur. Which brings us to Jervis Bay and it's abundance of beautiful beaches! I probably perform more wedding ceremonies at Hyams Beach than any other location and it's not hard to see why. Hyams claims to have the whitest sand in the world and the backdrop over the bay is pretty breathtaking. It can get quite crowded in the holiday season but it's always possible to find a quiet stretch of sand for quiet elopement or 100 your closest friends. Council are currently reviewing their policy on Hyams weddings and not taking bookings for Hyams, however if you are having less than 50 guests you don't need to book. Callala Beach Directly opposite Hyams, Callala Beach has the same white sand, blue blue sky and brilliant backdrop and offers a lot more seclusion. and had their reception at the Nowra Culburra Beach Surf Club which you have to agree is a real classic of it's kind! Bay Of Plenty Lodges, busy, bay, beach this location in Booderee National Park offers a relaxed atmosphere and tranquil beachfront location surrounded by national park. Whipbird, Grapevine, Sundowner, Honeysuckle, Kingfisher - are some of your accommodation choices at this Heritage listed homestead is found at the end of a delightful, if bumpy, woodland drive through Booderee National Park. Situated on 5 acres of spacious grounds on the edge of Sussex Inlet waterway. Berrara Beach Chalets - not just another tourist park, this was a great discovery. You can set up a small marquee on the headland, put all your guests in adjoining chalets and have a million dollar view for tourist park prices. Jen and the team from As A Whisper are now organising weddings at Bewong..The property offers lots of different choices for ceremony and reception - I particularly liked the Bali-esque pavilion perched over the river as a ceremony location - and since Jen's specialty is bringing your ideas and inspiration to life - anything is possible. or have your ceremony on the deck overlooking Jervis Bay. Jerrymara Farm is the perfect setting for a rural romantic weddding with 52 stunning private acres close to the pretty rural seaside village of Gerringong. 'm returning from a wedding in the Mollymook/Milton area I often stop off at the Gooloo Creek Wildflower Farm for a bunch of flowers on my way home. I've only celebrated one wedding there, it was a mini music festival affair and I really loved the venue. Very rustic, very quirky, very unique with the added bonus of being able to pick your own bouquet on site! Just as special but on a different scale is and just down the road is the Mollymook Surf Club a perfect beachside wedding venue with very reasonable rates and priceless views. Kiama Harbour Cabins While the Kiama Blowhole may not sound terribly romantic I've done a few weddings here and they've been pretty special The accommodation is very swish and there are a wide range of spectacular locations. Bendalong is a lovely little seaside village. Great laidback atmosphere, fantastic 50's beach houses and a range of options for wedding ceremonies. Dee Beach and Washerwoman's are favourites and the local tourist park even offers wedding packages!